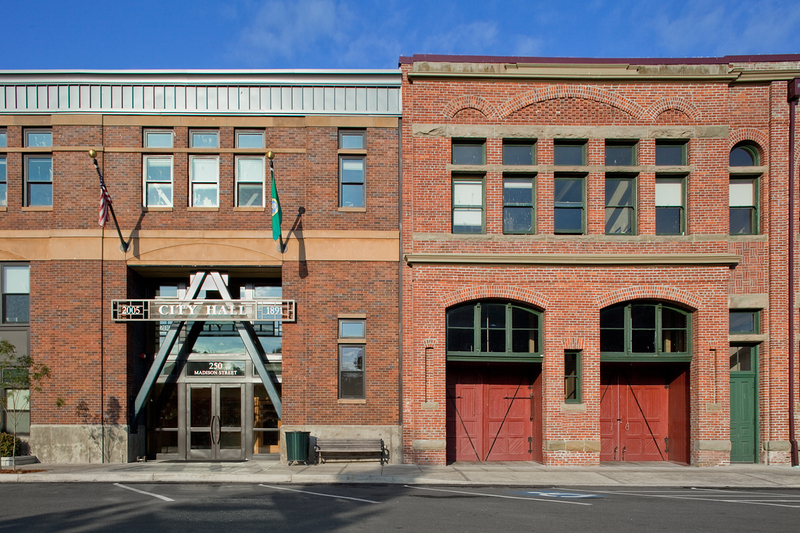 The City Hall Annex sits quietly beside the stately 1894 City Hall in historic downtown Port Townsend. 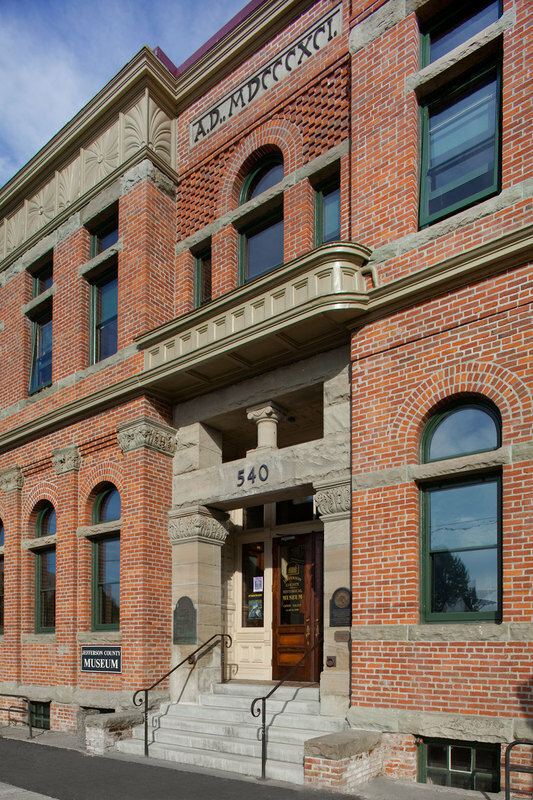 Their adjacency is intentional; the Annex was designed to seismically support the historic structure, thus minimizing aesthetically invasive upgrades to its façade. 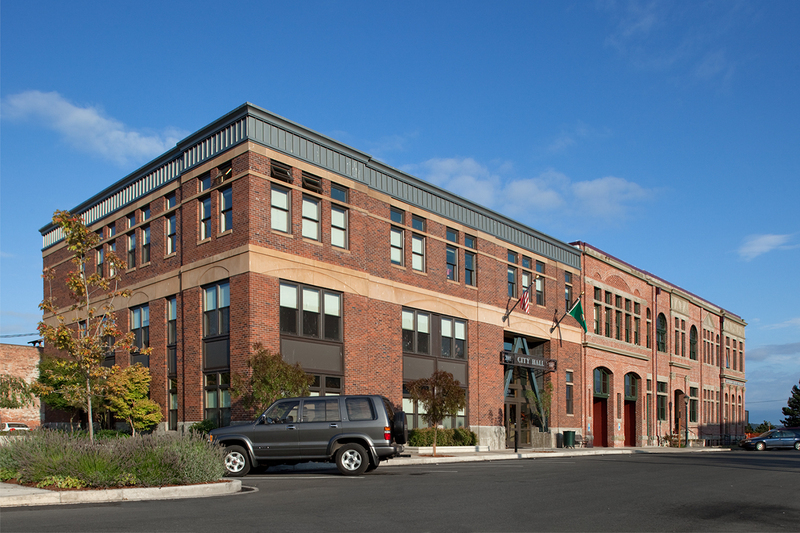 The Annex design references the materials and proportions of its Victorian neighbor, including strong vertical lines, tall narrow windows, and precast details. 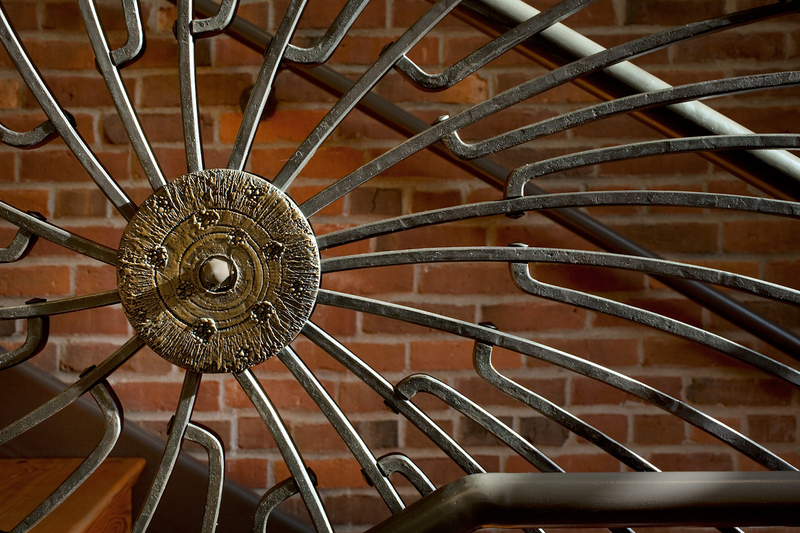 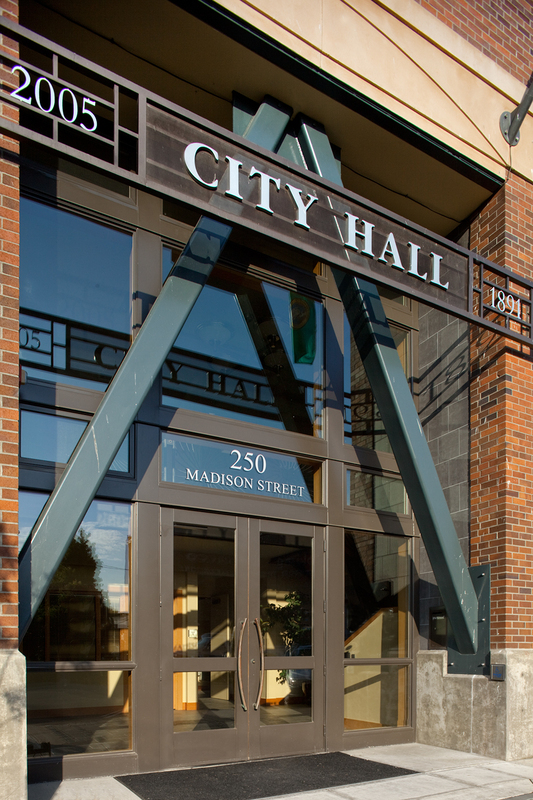 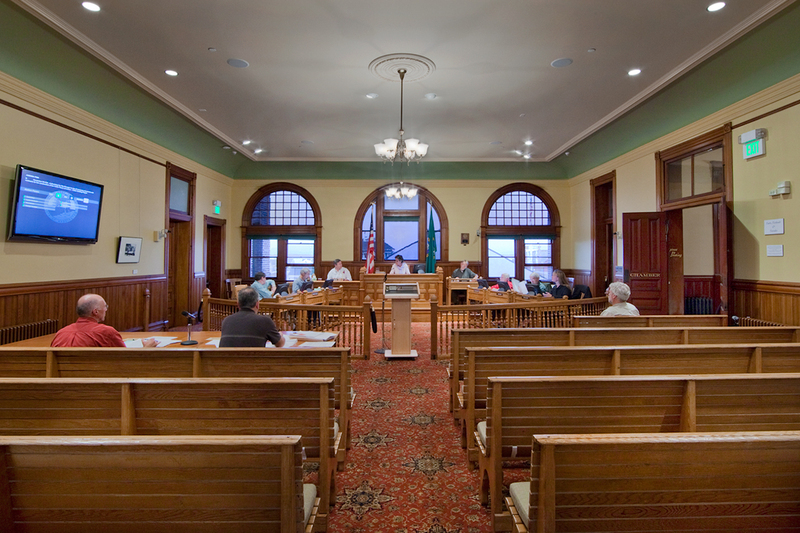 Close collaboration with the Port Townsend Historic Preservation Committee resulted in a respectful yet modern new Annex and a sensitive rehabilitation of the historic City Hall that included seismic and technology upgrades. 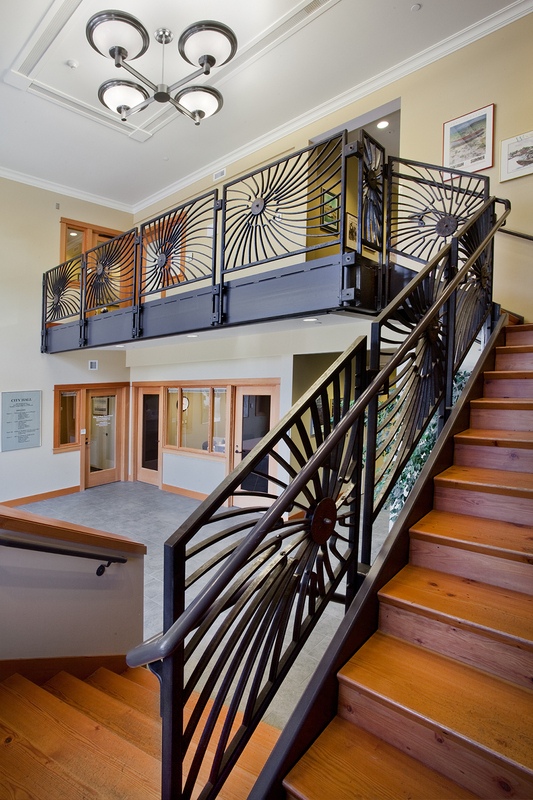 The new lobby includes ornamental, artisanal work and the project incorporated sustainable design to achieve LEED Silver Certification.